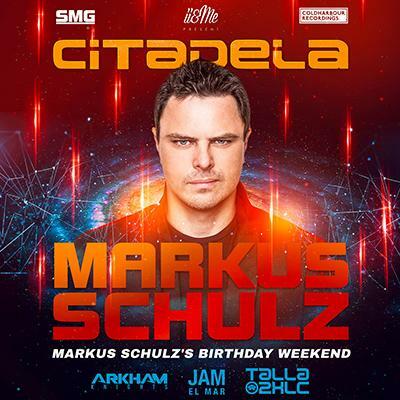 Markus Schulz will be headliner of the Citadela in Brno. He is going to celebrate his birthday there. When the extremely popular DJ and producer Markus Schulz released an EP called In Bloo, it was pretty clear that it would not be all he planned for his fans. Shortly afterwards, he sampled the set for the new compilation In Search Of Sunrise, and on social networks he also announced a tour to the new album that he is currently finishing. With that new album he will be playing in Brno, where he will perform for the first time. On Friday, February 1th 2019, he is going to play at the Citadela in Zoner Bobyhall. Tickets from the price of 590 crowns can be purchased through the TicketLIVE websites. "We are honored in Brno for the first time to welcome the German music producer and DJ, who currently lives in Miami and that there is not enough, we can tell that Markus Schulz will celebrate his birthday with a long, three-hour premiere set on Citadele," says Dalibor Vajčner. At the same time, he decodes support with names like Arkham Knights, Jam El Mar and Talla 2XLC. "From Czech support people can look forward to D3LIGHT, Martin Gredner, Martin Michniak and Proggy Boy," adds promoter. The tickets starts at a dumping price of 590, - [19 EUR] and will increase to 890 CZK. By creating an account you agree to Personal data being collected and processed.